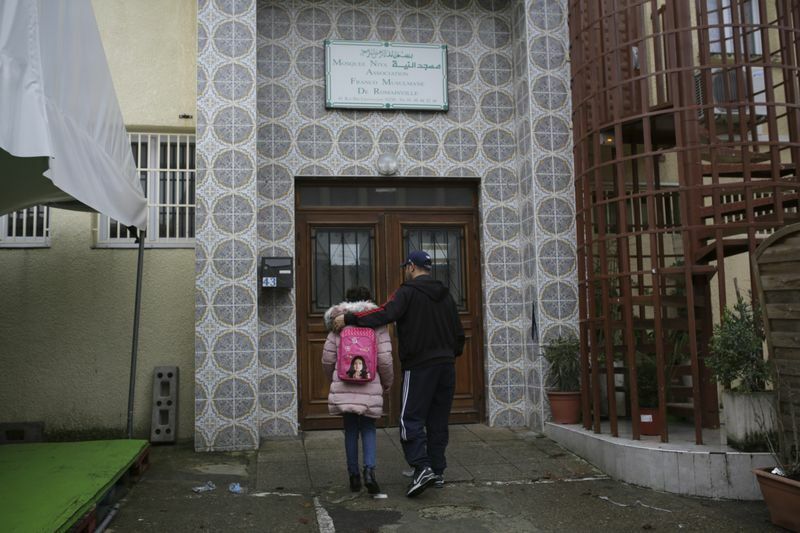 Early on Sunday mornings, Habiba Hatem, 9, prepares her own breakfast, grabs her flashy pink school bag and jumps into her father’s car — bound for Arabic lessons at her local mosque in a suburb north of Paris. Colourful sketches of how to perform ritual washings decorate the walls of the classroom, along with drawings of butterflies, cars and carrots, with their Arabic names underneath. “Today we are going to do a dialogue about duyuf coming for dinner,” the teacher tells Habiba and a dozen other boys and girls ages 9 to 17, all born in France. “Duyuf means guests,” she says, writing the word on the blackboard. Habiba’s grandparents came from Tunisia in the 1960s, and her father believes it is important that his child stays connected to her roots. But the public school she attends does not offer Arabic classes, so she makes the weekly trip to the mosque in Romainville, a part of the Seine-Saint-Denis department north of Paris, which is home to a large immigrant community. 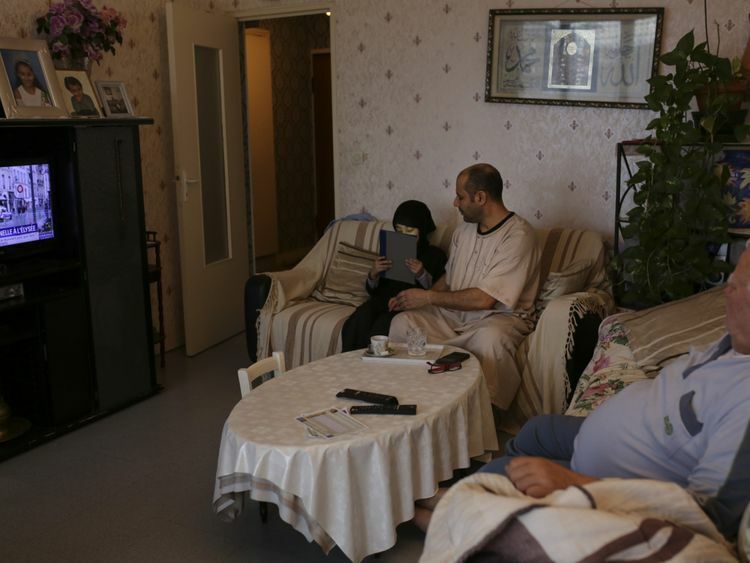 The Hatem family’s situation is a common one in France. About 3 million people use Arabic on a daily basis in France, making it the country’s most spoken foreign language, according to the Culture Ministry. But Arabic is barely taught in public schools, so mosques and private associations have stepped in to address this educational gap. Now, the government is growing worried about an increasing number of students learning Arabic outside the state’s oversight. As part of France’s fight against extremism, the Education Ministry announced in September a plan to take back control of Arabic teaching “in order to provide a secular curriculum rather than the one offered by associations, which can drift toward radicalisation,” the ministry’s spokeswoman said. While the ministry wants to promote the study of Arabic and make classes more readily available, it has not provided many details about the plan, other than to say that Arabic teaching will be strengthened alongside that of Russian and Chinese. And most French schools will have to start their Arabic programmes from scratch. 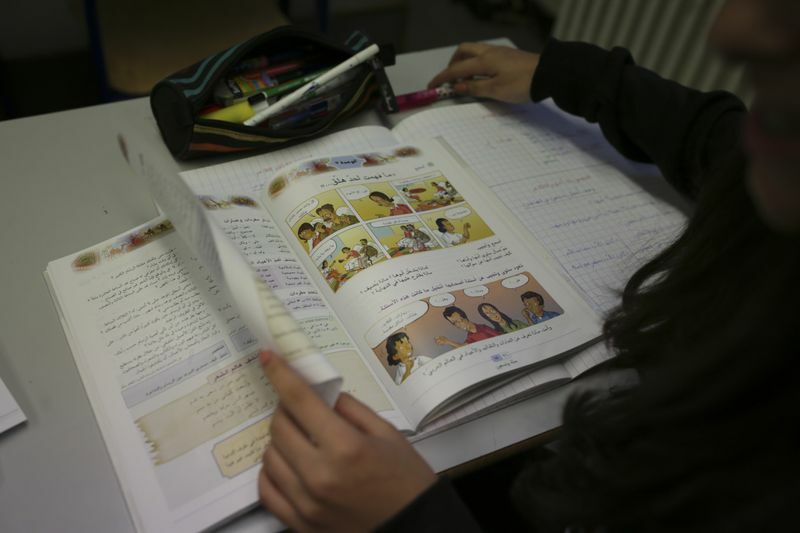 Only 0.2 per cent of students in public middle and high schools in France took Arabic classes in the 2017-18 school year, putting the language far behind the widely taught English, Spanish and German. In addition to the pedagogical challenges of jump-starting Arabic programmes in public schools, there are social and political obstacles, as well. But many leaders in the Arabic community support the Education Ministry’s plan. Azzedine Benjemaa, president of the Muslim association at the mosque where Habiba attends classes, said the public school classes would be of higher quality than religious ones. The Quran-based courses at the mosque, he said, can rely too heavily on memorisation rather than allowing students to express themselves. Habiba’s class at the mosque starts with a prayer. 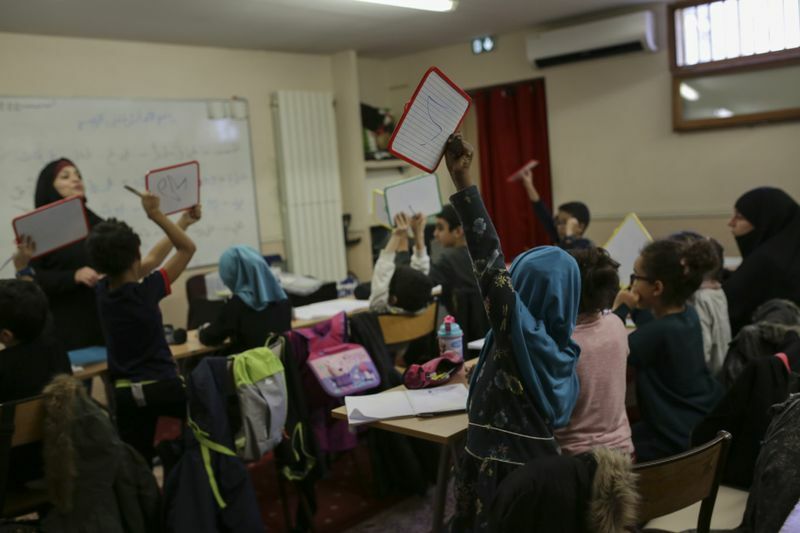 That is not how lessons begin at the Claude Monet High School in the 13th arrondissement of Paris, one of the few French public schools offering Arabic. Here, the teacher opens the lesson by using LinkedIn to show students how many jobs are open to them if they speak Arabic. One student, Imene, 13, used to learn Arabic at the Grand Mosque of Paris, but stopped going once she started taking classes in her public middle school. Marianne Cosse, the school’s principal, said that offering Arabic prevented families with Arab origins from sending their children into the hands of people who could “radicalise” them. “Offering secular Arabic classes in public school prevents the language from becoming the hostage of religion or extremism,” she said. That position is supported by a report on the spread of political Islam in France by the Institut Montaigne, a policy research think tank. “Arabic classes have become the best means for Islamists to attract young people into their mosques and schools,” the report states. But many argue that the government’s rhetoric around the new policy sometimes dangerously conflates the Arabic language, Islam, political Islam and religious fundamentalism. “While the education minister underlines that learning Arabic at school celebrates Arabic culture and civilisation, this decision is mainly taken in the name of the fight against Islamist radicalisation,” said Sarah Mazouz, a researcher at the state-run National Center for Scientific Research. Arabic has long been a popular and uncontroversial subject at public universities in France, where the language is viewed as a valuable asset for careers in business and diplomacy. At Sciences Po, an elite university in Paris, there are 37 teachers of Arabic, compared with 180 such teachers across all of France’s public schools. But at the primary- and secondary-school levels, the Education Ministry’s plan has spurred resistance because of the role French schools are expected to play in shaping a shared national identity, Mazouz said. “In France, there is a strong belief that it is the public school that forms the French, that produces French citizens no matter their origin or their parents’ history,” Mazouz said. While university students who have been through the process of “becoming French” are encouraged to learn Arabic, any attempt to teach it in public schools, she added, has been perceived by some as a deviation from that path, one that will promote a hyphenated identity of French-Arabs. What does Habiba — who speaks French at school, with her friends and at home — think of her own efforts to learn Arabic? When her school homework gets intense, she said, she wishes she did not have to go to Arabic classes. But she needs to be ready for the summer, she said, for a visit to her cousins in Tunisia.